BFSI « Global Market Insights, Inc. The escalating demand for rapid query resolutions & online customer self-service are expected to propel intelligent virtual assistant (IVA) market alongside the path of progress. IVA has undoubtedly, in recent times, improved the users’ online service experience as well as offered increased sales to e-commerce firms. Indeed, the product is becoming the preferred medium to gain information, make purchase decisions, and resolve issues. Companies like Microsoft and Google are adopting the technology to improve ease of access and streamline activities, and increasingly implementing the technology as well to enhance operational efficiency. For instance, ABIe, a virtual assistant developed by EIS for Allstate Insurance, efficiently helps agents to answer questions regarding business insurance policies. IVA is reportedly becoming more and more commonplace as consumer appetite for the product has been depicting an upsurge. According to an independent survey conducted with 1,500 consumers across Europe, 81% of the respondents said they would prefer interacting with a virtual assistant as it offers enhanced online customer experience. Close to 72% welcomed the product as a key part of every website while a similar proportion claimed that they would spend longer on a website that had one. This response can undeniably be credited to the fact that IVA can take on multiple roles on a website, such as performing various helpful tasks, answering customer queries and connecting to enterprise systems when needed. These features respond according to the marketing requirements of the customers, efficiently improving the site loyalty and experience. In order to cater to the best plausible global clientele, companies are increasingly investing in IVA to reduce costs from fields such as email response, technical telephonic support, and assistance on call. The implementation of the technology will enable the reduction in the resolution time, call wait times and allowing call transfers when an issue escalates, thereby augmenting IVA market share. 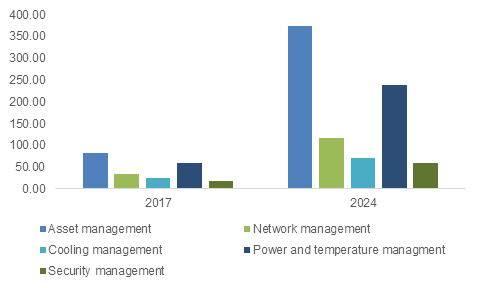 The growing deployment of IoT is also expected to supplement the IVA market growth. In fact, IoT is known to have increased the quality and quantity of data being collected by the product. IVAs responding to text or speech queries through apps and smartphones has further enhanced customer engagement, a fact that has further helped impel the IVA industry trends. Speech recognition is one of the most vital technologies proliferating IVA market, as the system efficiently improves productivity, eliminating typing time, giving users additional time to focus on other work. Voice recognition software, in addition to being faster in task completion, are increasingly accurate when it comes to vocabulary. Speech recognition technology also makes invaluable contributions to businesses that offer customer services eventually reducing organizational costs. Furthermore, these systems improve interoperability owing to the adoption of IoT, further driving the IVA market size from speech recognition technology. 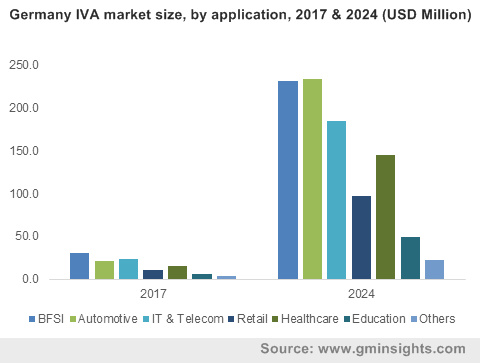 The Germany IVA market is expected to depict considerable growth in the years ahead, owing to the product’s new-found usage in the region’s thriving automotive market. Technological advancements in IVA have resulted in increased adoption of voice control and gesture control features in next-gen vehicles. IVA can now be integrated within vehicle systems such as automatic parking, lane change assist, adaptive cruise control, and other ADAS controls. Regional automakers are constantly seeking ways to integrate the product in upcoming car segments to revolutionize driving experience. For instance, the German automotive giant, BMW has recently announced that its upcoming car segment would come with Intelligent Personal Assistant. Like Apple’s Siri or Amazon Alexa, the new AI-based virtual assistant would reply to voice commands and could adjust the temperature, lighting mood and music, among other things in the car efficiently, claims the company. North America, apart from Germany, is another region that is forecast to accumulate commendable gains by 2024, driven by the expansive technological advancements in the region. Major software companies, like, Microsoft & IBM, have also been investing in IVA, thereby enhancing the growth prospects for North America IVA market. The competitive spectrum of intelligent virtual assistant market also comprises other players like Amazon, Google, Microsoft, Apple, Inc., Artificial Solutions, eGain Communications, IBM Corporation, Nuance Communications, and Speaktoit, Inc. These companies are known to increasingly invest in product development and innovation to bring in intelligent assistance into the mainstream. Meanwhile, several tech giant firms are adding the product to their portfolio to gain added sales. For instance, on January 7th, 2019, the world’s leading television manufacturers Samsung, LG and Hisense announced that they would open their devices to Google Assistant and Amazon Alexa. As advancements in the fields of automation, machine & deep learning, conversation interfaces, and natural language processing continue to surge, IVA market share is certain to soar in the years to come. This entry was posted in Sustainable & Smart Technologies and tagged Automotive, BFSI, Customer Service, Education, Global Intelligent Virtual Assistant Market, Health Intelligent Virtual Assistant Market, Healthcare, Individual Users, Intelligent Virtual Assistant Market, Intelligent Virtual Assistant Market Forecast, Intelligent Virtual Assistant Market Growth, Intelligent Virtual Assistant Market Size, Intelligent Virtual Assistant Market Statistics, Intelligent Virtual Assistant Market Trends, IT & Telecom, IVA Market, Large Enterprises, Marketing Assistant, Retail, SMBs, Speech Recognition, Text-To-Speech, Voice Recognition. The exponential growth trajectory being demonstrated by unified communications & collaboration (UCC) market has been a subject of intense debate for since a while now, given the rising popularity of BOYD trend and the immense need to streamline the existing communications infrastructure across enterprises on a global scale. The rapid maturation of unified communications & collaboration (UCC) industry can also be accredited to the increased utilization of ever-evolving cloud computing technology and the swift emergence of mobile devices that have evolved from just a medium for voice conversation to smartphones with sophisticated multi-function capacities, all within a decade. Furthermore, large enterprises appear to have realized the significance of upgrading the traditional communications network to stay relevant in a dynamic business environment, a phenomenon that has in extension propelled the global unified communications & collaboration (UCC) market size expansion. 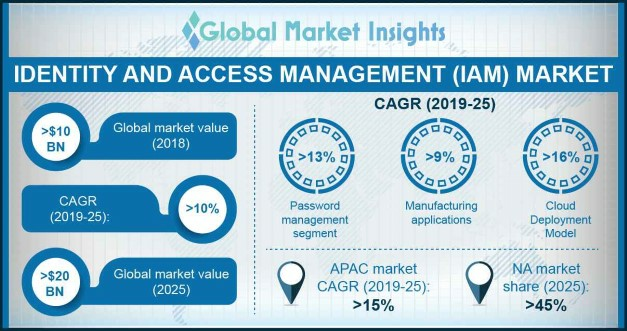 Elucidating the growth potential of the overall unified communications & collaboration (UCC) industry, Global Market Insights, Inc. estimates this business space to an impressive y-o-y growth rate over the period of 2019-2025. The recent trend of the increasing alliances between leading unified communications & collaboration (UCC) market players and some of the world’s renowned IT behemoths has vividly underlined the strategic and competitive landscape of this business space. To cite an instance, the U.S.-based UCC monitoring and analytics provider, Vyopta Incorporated has recently joined forces with Cisco Systems, Inc. to upgrade its SolutionsPlus Programs’ UCC user experience by providing custom alerts, improved device availability, comprehensive analytics, live call monitoring, failure insights, and multi-vendor collaboration ecosystems. In addition to this, Vyopta would offer refined UC asset management, custom business reporting, and enhanced utilization metrics which would improve Cisco’s overall ROI. Needless to mention, such remarkable partnerships are set to vigorously impel the global unified communications & collaboration (UCC) industry space over the estimated time frame. Elaborating further, it is rather imperative to take note of the fact that UCC technology has brought about a paradigm shift in the way large enterprises communicate by streamlining diverse communication modes including video, voice, email, and instant messaging and enhance consumer satisfaction by improving business productivity. Moreover, the aforementioned factors have caused drastic reduction of infrastructure expenses by integrating telecommunication services and IT network into a single consolidated framework, something which has carved out a comprehensive roadmap for the unified communications & collaboration (UCC) industry to reap lucrative gains in the ensuing years. Owing to the wide scale deployment of telephony applications across a host of business verticals to enable real-time communication with internal and external stakeholders, telephony platform is estimated to command a significant share of over 29 percent of the overall unified communications & collaboration (UCC) market by 2025. To highlight the rising influence of telephony platform in this swiftly evolving business space, a noteworthy instance can be cited. One of the foremost unified communications & collaboration (UCC) industry participant MegaPath, for instance, had been awarded with 2017 Internet Excellence Award for its MegaPath One ™, a unified communications platform which has been delivering commendable IP communications solutions to a range of small and large business enterprises. Furthermore, it would be prudent to mention that owing to numerous advantages over analog phones, IP phones segment of telephony platform is set to contribute immensely to the overall unified communications & collaboration (UCC) industry share. The growing popularity of unified communications & collaboration (UCC) market can further be attributed to the fact that as the prominent and emerging enterprises are aiming to expand their foothold in diverse geographical markets, the efficiency and effectiveness of streamlined communication functions would play a crucial role in ensuring beneficial output of business procedures. Therefore, it goes without saying that the leading unified communications & collaboration (UCC) industry players have a vital responsibility to deploy their expertise in assisting a variety of enterprises to make their presence felt in a rapidly transforming global business outlook. 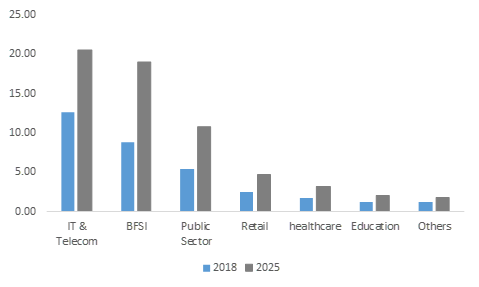 In terms of global commercialization potential, Global Market Insights, Inc. forecasts the unified communications and collaboration industry share to surpass a valuation of USD 60 billion by 2025. This entry was posted in Sustainable & Smart Technologies and tagged Audio, BFSI, Cloud, Collaboration, Conferencing, Education, Email, Fax, Healthcare, Hybrid, IP PBX, IP Phones, IT & Telecom, Mobile, On-Premise, Public Sector, Retail, Services & Tools, Social Network, Telephony, UCaaS, UCC Market, Unified Communications and Collaboration Market, Unified Communications and Collaboration Market Size, Unified Communications and Collaboration Market Trends, Unified Communications as a Service, Unified Communications Industry, Unified Messaging, Video, Video Platform, Voicemail, Web.